By John F. McKenna (McJack): Manny Pacquiao’s legendary trainer Freddie Roach has told his fighter World Boxing Organization (WBO) welterweight champion Manny Pacquiao (53-3-2, 38 KO’s) to “go for the kill” when he takes on WBO and WBA lightweight champion Juan Manuel Marquez (53-5-1, 39 KO’s) next Saturday night. Pacquiao and Marquez will be squaring off for the 3rd time in their Trilogy on November 12 at the MGM Grand Arena in Las Vegas. Marquez has not only gotten under Pacquiao’s skin with his constant assertions that he was robbed of victory in their first two fights, he has gotten under trainer Freddie Roach’s skin as well. Bluntly speaking, Roach wants “Pacman” to “shut the mouth” of “El Dinamita” once and for all. In their 1st encounter in 2004 Pacquiao and Marquez fought at 126 pounds. The fight ended in a controversial draw even though Marquez had been floored three times in the 1st round. It was later revealed that one of the judges made an error in tabulating his score card and the draw should have been a victory for Manny. The second fight in 2008, fought at 130 pounds also ended controversially when Pacquiao was awarded a razor thin victory. Many boxing observers thought that Marquez won the 2nd fight. Marquez insists that he won both encounters and immediately after the 2nd fight ended in 2008 started campaigning for a 3rd match with the Filipino icon. Pacquiao was incensed when Marquez came to the Philippines to kick of the world tour to hype the fight wearing a Tee shirt claiming he was robbed of victory in their previous two fights. “If you jump on him in the first round, you can knock him out in one round. I told him don’t go easy on him. 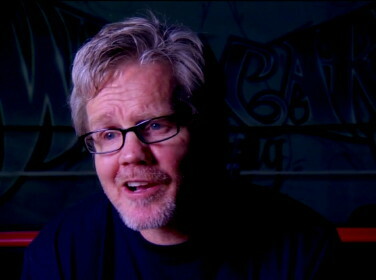 Roach said that he has never seen Pacquaio so pumped up for a fight, not even for his fight with Oscar De La Hoya. It is no secret that Roach was not happy with the touching of gloves before and after every round in the fight between Paquiao and Shane Mosley last May. Roach felt that Manny was trying too hard to be a nice guy. Apparently he will not have to worry about that when the bell rings to start the Pacquiao – Marquez fight on November 12.